Your gift will support the installation of a magnificent mosaic that will adorn the Trinity Dome. By participating in this project, you become a part of the fabric of Mary's Shrine and help to bring to completion your church: the Basilica of the National Shrine of the Immaculate Conception. Please be assured that you and your intentions will be remembered in prayer here at this great patronal church of the United States. Share your email address with us and receive regular updates about the mosaic installation as the work unfolds over the coming months. 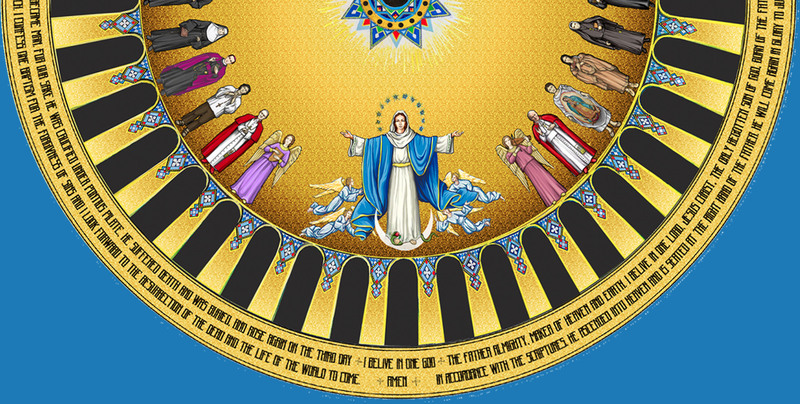 Your donation will support the installation of the mosaic ornamentation that will adorn the Trinity Dome, the Crowning Jewel of Mary's Shrine. Spread the word about the completion of Mary's Shrine. Share the news about the Trinity Dome mosaic via Twitter, Facebook, and Instagram. © 2016-2019 Basilica of the National Shrine of the Immaculate Conception. All rights reserved.